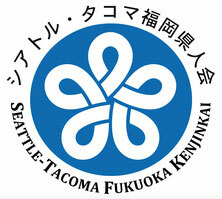 If you have lived in Fukuoka, worked in Fukuoka, have attended a school in Fukuoka, have visited Fukuoka, have some relatives in Fukuoka, interested in Fukuoka, etc., you are welcome to be a part of Seattle-Tacoma Fukuoka Kenjinkai (Fukuoka Prefecture Citizens Association). If you want to know what we are doing, you are welcome to visit one of our events. Our membership fee is just $10/year. If you are intersted, please contact us by using our contact page or stop by our booth at Akimatsuri or Sakura Matsuri. Looking forward to meeting you soon! What are the activities and benefits? Our activities include a new year's party, dinner with students from Omuta High School and Fukuoka College School of Law, bus tour, Sakura Matsuri, picnic, Akimatsuri, and Mochitsuki at the end of the year. Besides these activities, you can benefit from helping hands from other members, exchanging information regarding raising kids, learning from the members' real experience of American life, participating in the cultural exchange programs, and more. It is all possible because Fukuoka Kenjinkai is made up of all ages. In addition to all these benefits, it is such a special feeling to share "HOME". 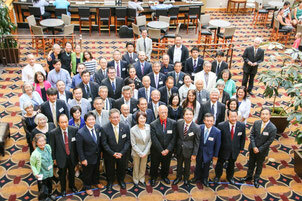 We also have a Worldwide Fukuoka Kenjinkai Convention every three years. The next one will be held in Mexico City in 2016. You can make friends with Fukuoka Kenjin all over the world.